PREMIUM MATERIALS FOR PREMIUM PERFORMANCE in a single wall board! Recognizing that the need for heavier packaging materials may not always require double wall, we have filled the gap between ordinary single wall grades and lighter duty double wall materials. While Acme’s emphasis has often been toward high performance lightweight materials, POWERWALL 60® is something truly different. 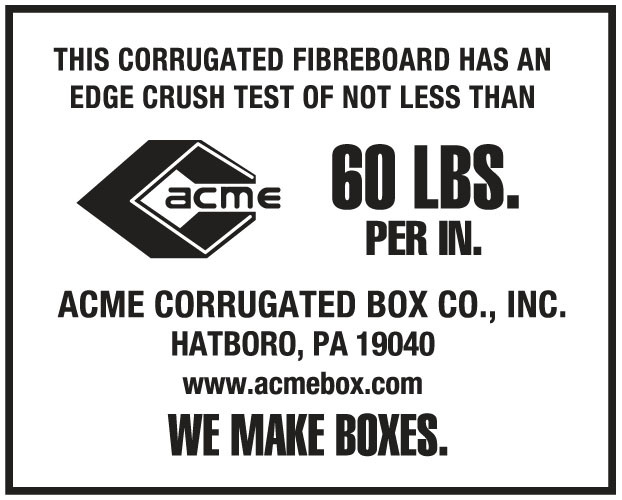 Using our sturdy high-performance medium, coupled with premium liners, we have achieved ECT greater than 60 lbs. per square inch and box compression strength of roughly 1,200 lbs. without using excessively heavy papers. This high-performance material is being used successfully with snacks and beverages, baked goods, chemicals and cleaning products, pet food and supplies, metal cans and lids, and much more. 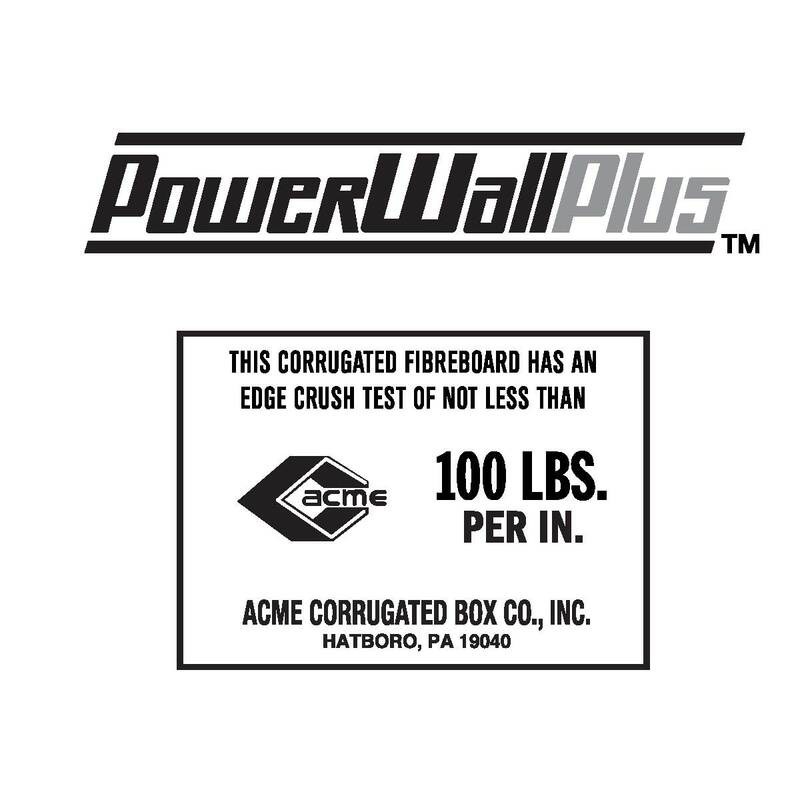 Contact your Acme Packaging Consultant for samples and more details on how POWERWALL 60 is the solution for your packaging needs. Extra strength without having to upgrade to double wall. Stacking strength of 60 ECT from a single wall board grade. Substitute for heavier Mullen grades, such as 275 C Flute, when extra sturdy boxes do not require a specific burst rating. Bulge resistant to contents that slide or flow within the box, such as multiple bags of dry goods or liquids, or loosely packed items not bagged. Use for conventional boxes or die cuts. Suitable for use with a broad variety of products across various industries.